Babies are very curious. They are in that stage of life when they are exploring the world they are living in. They will have a lot of questions and they usually start to fire them at their elders. It is also the age where they enjoy playing with the toys the most. This is the time home with toddlers are filled with toys. Also, it is psychologically proved that most of what a person acquires in life like habits, interests and so on are acquired during this crucial stage. So, why not make this natural exploration and learning special and interesting for the babies combined with the thrill of surprise science gifts? Here is the list of 9 Science Toys for babies to make learning more fun and inculcate the interest in science everlasting. 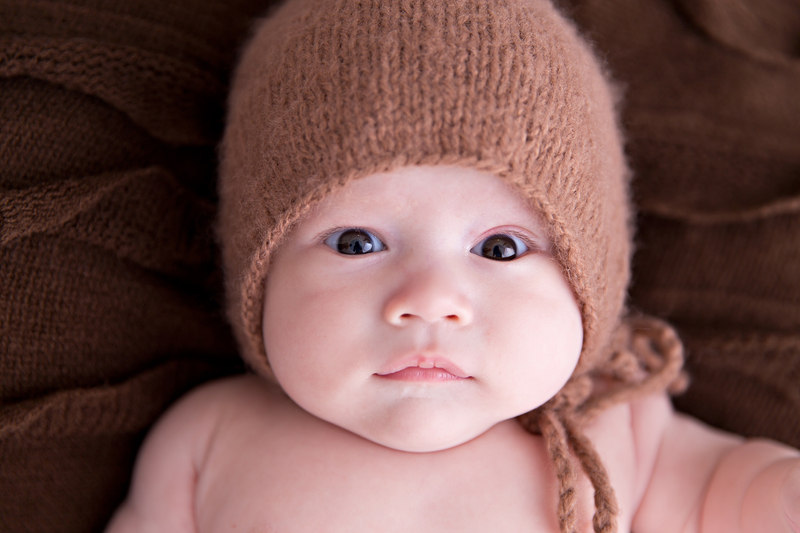 One of the questions that babies ask is – “Where does rain come from?”. Indeed, explaining water cycle to those little brains is difficult. This toy comes in the shape of a cloud. You can fill it with water and with a single touch let them come down as rain. This also makes bathing fun for babies who are fussy about bathing. 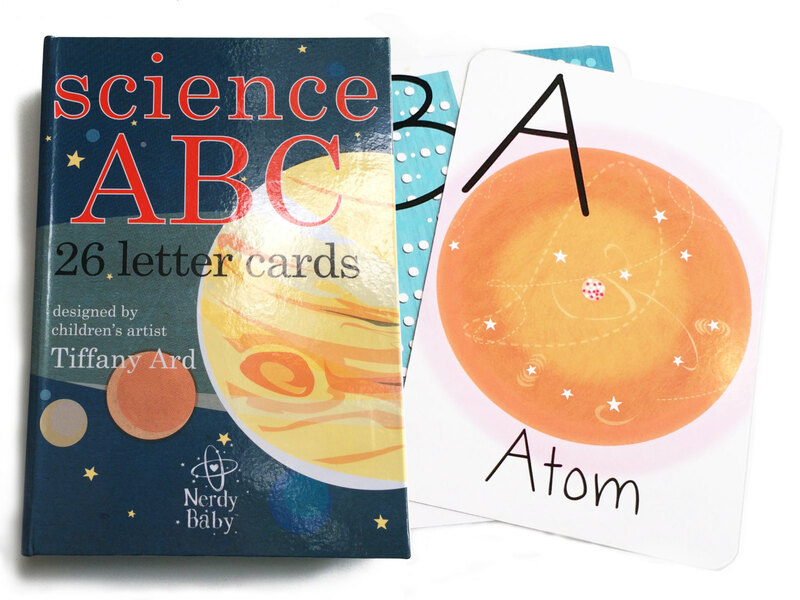 All toddlers cutely say, “A is for Apple, B is for Ball, C is for Cat and so on.” Let your little one say, “A is for Atom, B is for Binary code, C is for Chemistry…..”. Learning through these ABC flashcards that define scientific terms for the alphabets instead of usual things and shock the parents of children who just know usual words for the alphabets. Explaining about the sun, the moon, the stars, day and night, and other astronomical phenomena to young kids is indeed a tough job. 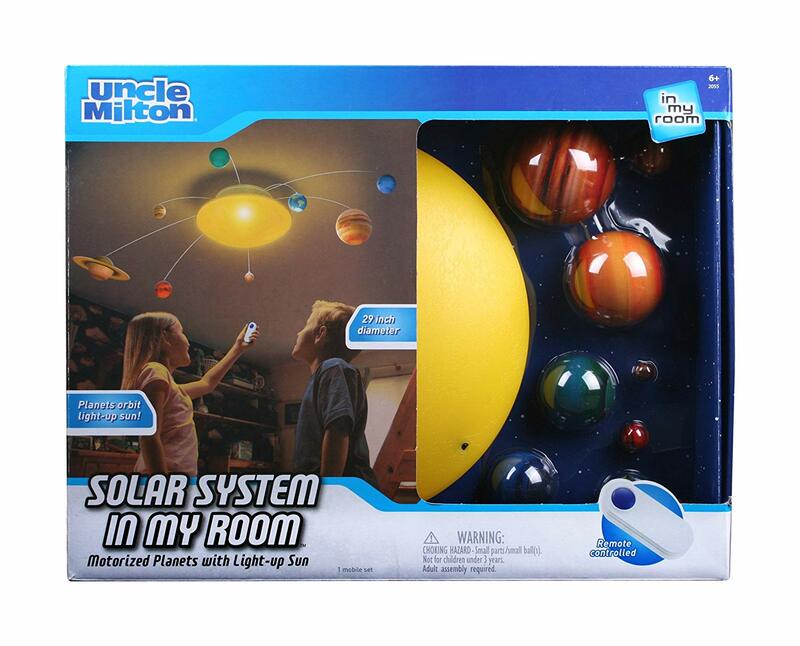 This solar system mobile helps make it easy by actually simulating the solar system in their room ceiling. Abacus is an ancient instrument. In spite of this, it is continuing to teach Maths to young kids for generations and will continue serving its purpose for generations to come. This classic educational toy is proven to stimulate imagination in kids and help them in their future school life by making mathematics easy. 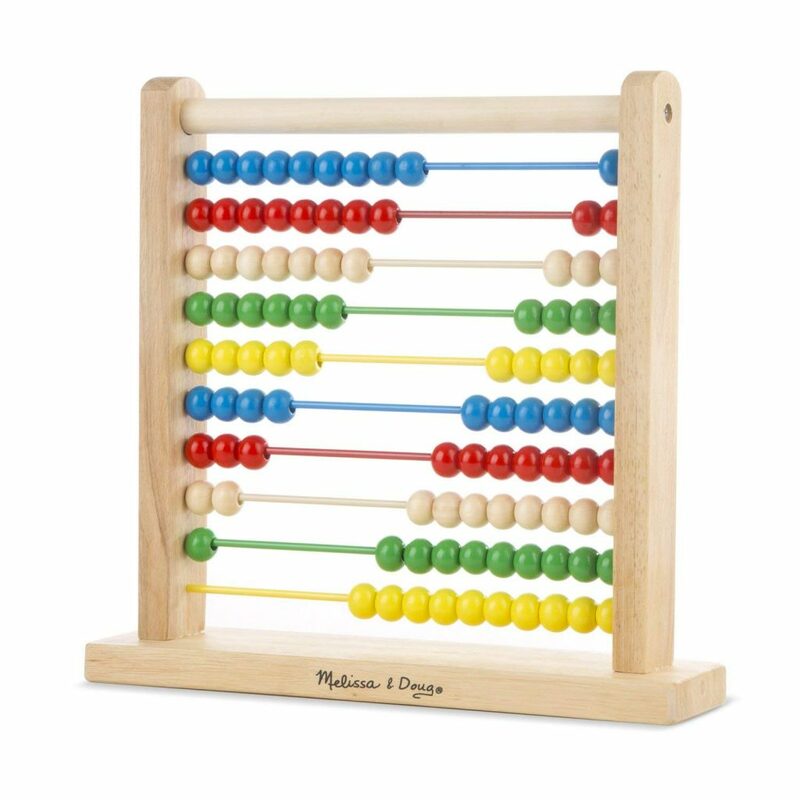 Studies have proven that abacus activates both the right and left parts of the brain simultaneously. If your kiddos are fond of dinos, this is the perfect gift that you can gift them. 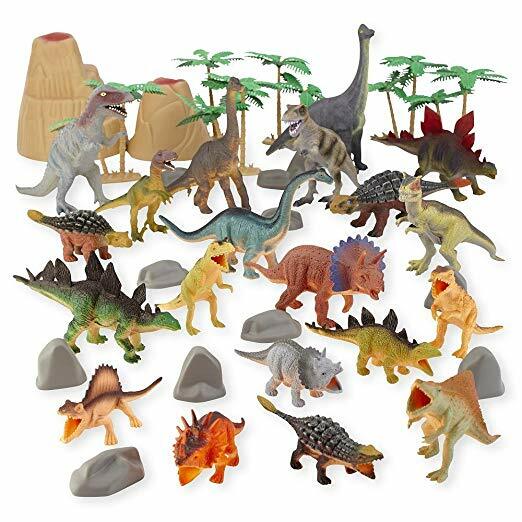 This kit contains more than 40 dinosaur toys along with toy trees and landscape. Let your kids create their own Jurassic Park and have lots of fun with dinos. Make sure you tell them the names of each of the dinosaurs and it is also the perfect place to start with to tell them about evolution. Be prepared to see their wide eyes open knowing that humans came from monkeys. This comes with a world map with the continent colour code and the pictures of animals. There are also many puzzles. You may teach your toddler which animals are found in what places and how they appear, what they eat and so on. 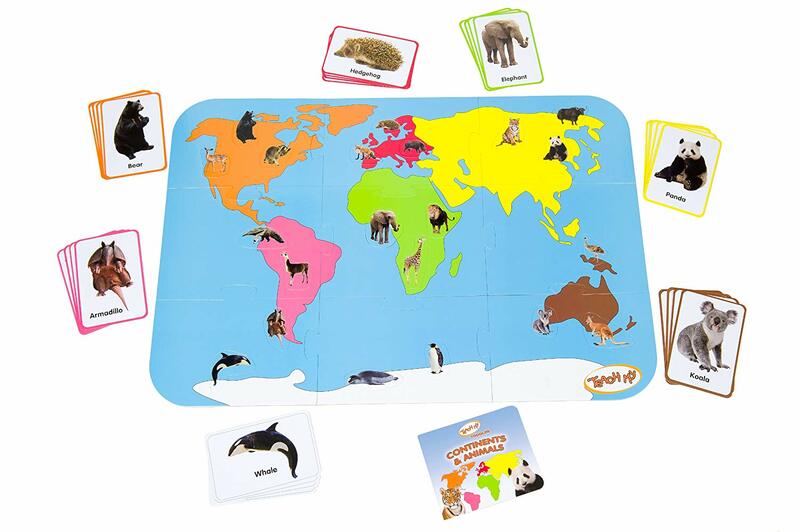 This helps expand your child’s world and teach them the basics of geography and animals. It helps develop spatial reasoning. Motor and puzzle building skills. This toy practically demonstrates to those curious minds how dinosaurs used to hatch out of their eggs. 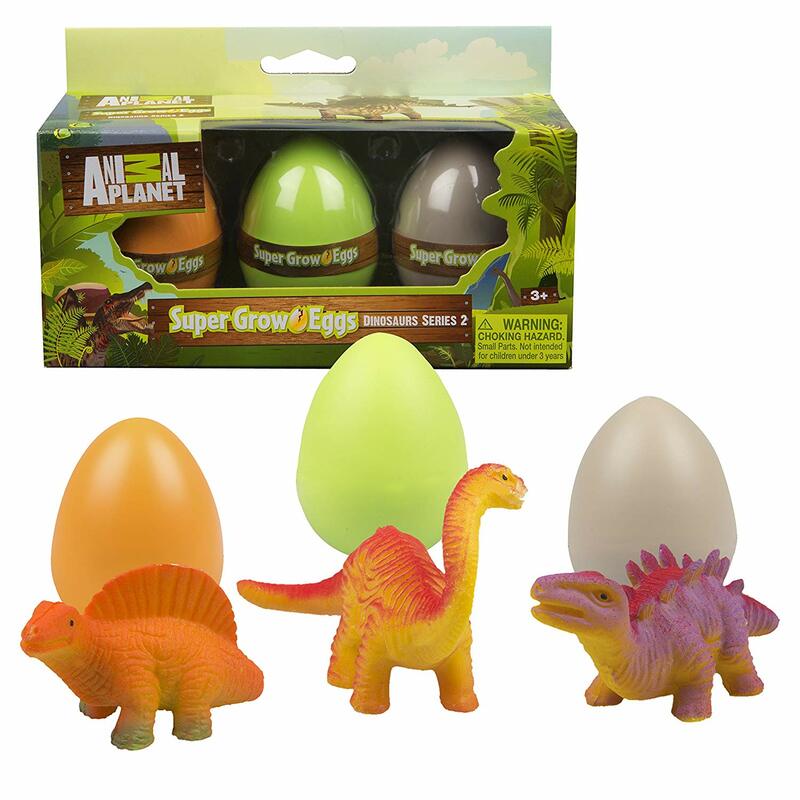 Each coloured egg comes with a different dinosaur. The dinosaurs grow and hatch when placed in water. 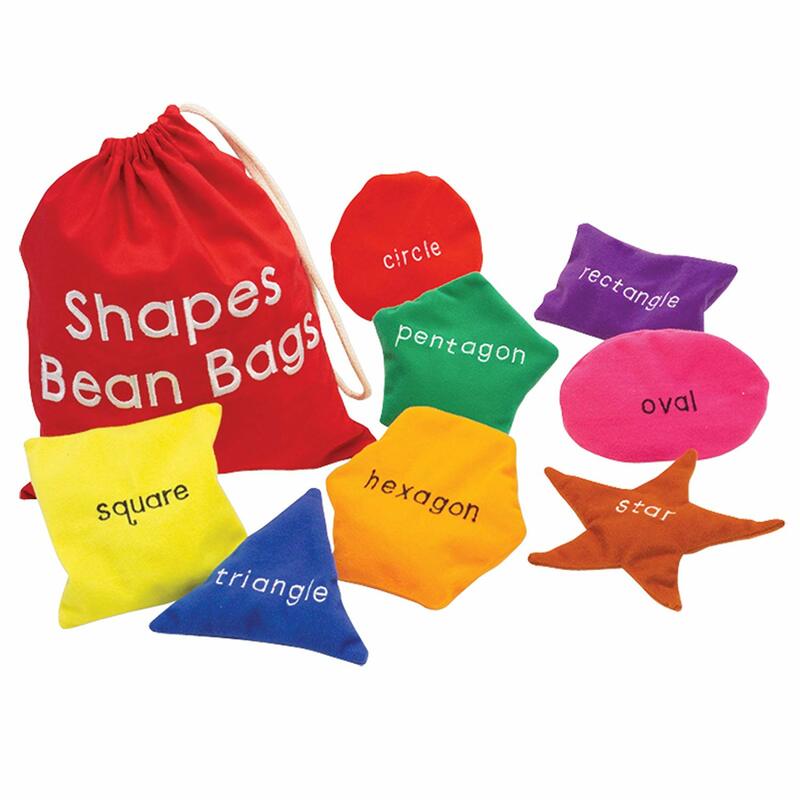 This one is a set of stuffed toys in different shapes and colours. What more, each colour is embroidered on its respective shape to promote learning and reading. You can gift your toddlers with science goodies like science mugs (which come with pictures of scenes like solar system printed on them) and start trying a few practical child-safe experiments. Think of personalising a Bottle top filter, which helps to remove impurities from the liquids, thus increasing safety. This may also come handy with Square Storage Bottle for your kids. These 9 Science Toys for Babies can make your kids more inclined towards science and learning, thus increasing their cognitive capacity and accelerating their psychological development. All the Best!! Ross is a blogger who loves to write especially in the Education vertical. he has written many informative blogs on wine, personal development, unique gifting etc too. he loves to travel and explore unique things.